getting ready individuals who grew up without downtime in the last twelve months. 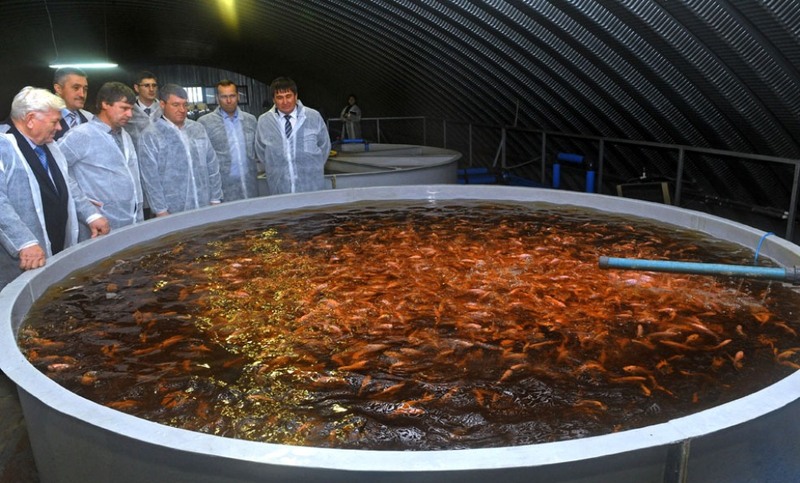 Russian fish farms have started talking about industrial farming in the thirties. 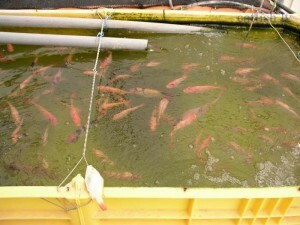 Injections used to increase the activity of the pituitary gland, created Gerbilsky allowed to engage in fish farming, not only on small farms but also large enterprises. This fish direction in order to grow fish, industrial uses and ponds with suitable habitat existing in the Caucasus, Siberia, and the Crimean region. 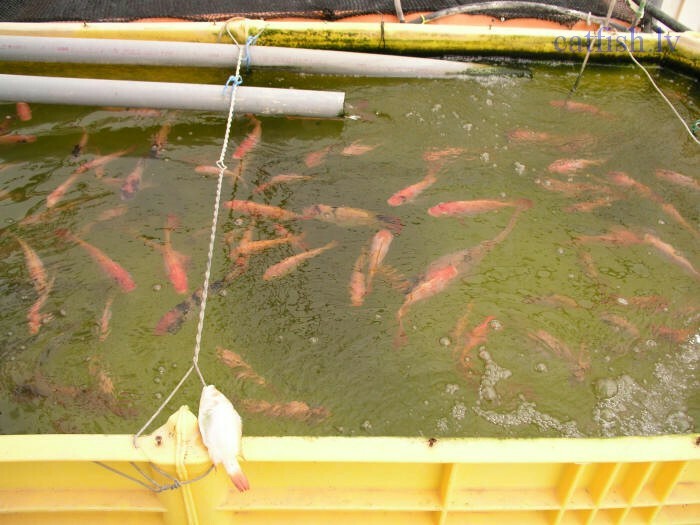 Industrial fish direction as feed additives for fish uses only artificial feed, having thus, increase of young in comparison with the reproduction of fish in natural conditions. 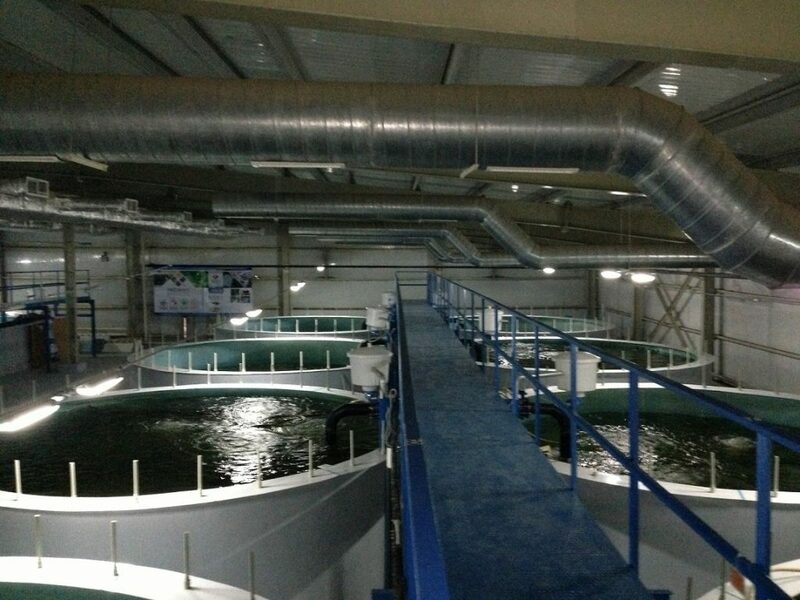 The first industrial fish farming is applied in practice by the Japanese, they gave the idea of the Russian breeders fish, to use domestic and foreign experience in the industrial fish farming, applying it in practice very successfully. 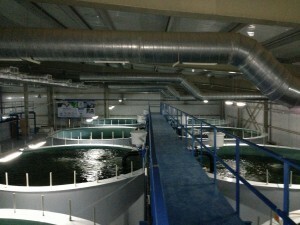 Domestic fish farms, which are mostly previously based in the Central belt of Russia, their foreign counterparts have adopted the experience of growing fry in the incubation workshop, learn to apply intensive form of breeding sturgeon and his colleagues already from Siberia to artificially inseminate eggs to simplify the process of breeding of fry of various species. The Japanese showed the Russians that carp can grow quite successfully using it for breeding artificial ponds, is equipped with circulation systems. After this experience our fish farms are interested in growing tilapia fish with a high dietary plasticity, but quite difficult to care for. But with this task they coped. After successful breeding of rare species of fish, industrial fish farming turned to production of feed additives for fish on an industrial scale. At the moment, these foods are the main dietary Supplement for trout. They contain all the necessary substances for its growth and development. Also in feed additive for trout in production add zolotokolosa contributing to its growth and absence of diseases. Industrial fish breeding direction has a number of features. It often has large dimensions and production volumes. In order to maintain optimum conditions for cultivation of fish, use special equipment that allows to clean the water, make feed additives for early transformation of the youngsters into adults. Thoroughly clean the water, monitor temperature and gas composition of water. 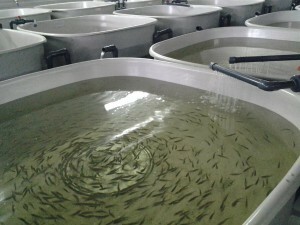 Fish fed a balanced feed additives for the growth and development of fry, improving the quality of farmed fish. Selection of the correct feed additives and the optimal combination of necessary substances is the main aspect that bet farms. 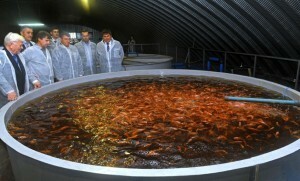 One of the most famous centers of the industrial fish sector in Russia, the centre is located in the city of Saratov. Its activity is directed on introduction of production on a paid basis of resource-saving technologies in the field of fish farming. Here are also developing new technologies in fish breeding and feed additives, allowing it to grow without diseases and other unpleasant moments faced by farms. Recently the fish farms replenish their coffers with new species of fish, including tilapia. 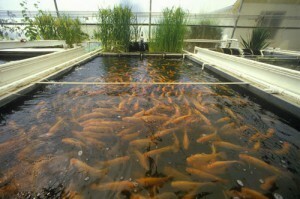 This fish is very profitable and easy on the mini-farm on an industrial scale. Tilapia refers to freshwater calidonia family. This unique rod has more than one hundred families, which are common in countries with a tropical climate. The name of the fish, by the way, invented by Aristotle himself, when he first tried her meat, complaining that this fish is found so far. This great fish is sometimes called sea chicken, or chicken, and all because its meat is really something like chicken. Biologists believe that tilapia was first introduced in Asia but since that time it has spread in almost all tropical countries and became particularly popular among Africans. The fish are picky in food and unpretentious to environmental conditions, good resistance to diseases and a drastic change of habitat. Externally, it has all the typical signs caligulove family. Fish “hatching” their eggs and fry in the mouth, has a highly developed system of communication using signals and very attached to the territory of the dwelling defending it from outsiders until the end. Despite the fact that tilapia, it is considered omnivorous, its variations still have differences in power. Some prefer plankton, and the other is not averse to eat large algae and decomposed algae that the fish collects at the bottom. Thanks to this diet, these fish grow quickly and within a year become Mature individuals. They spawn once a month, but only if the water temperature will not be below twenty-five degrees. Unlike other fish tilapia fingerlings are grown on their own, hiding them in his mouth and from time to time releasing that they were fed. And when a new generation will get stronger at all, they finally release into adulthood. Such protection of their offspring from predatory fish, is just the perfect option. 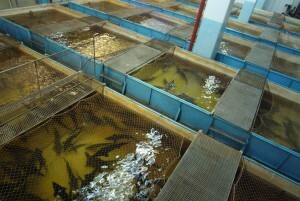 In addition, tilapia are able to protect the eggs from parasites and fungi, acting on it is detrimental. And tilapia all the time touches the eggs in the mouth, venting her with gills, taking and swallowing the weak and unfertilized eggs. But do not all fish, some species lay their eggs in the rocks and seaweed like regular fish, but at the same time protecting the territory of the spawning to emergence of fry. Because of its unusual way of life to breed fish easy, as she loves digging in mud and fighting with other dogs over territory, and she gnaws on its territory all the algae for better visibility and protection from enemies. For this reason for breeding, you need to prepare a spacious pond or pool with the stone labyrinths and lots of seaweed, which, from time to time you will need to plant. This species is very sociable, smart, cheerful. They can even be compared with the same household cat or dog, because they are able to identify the host and rejoice in his coming. In order to grow healthy tilapias, you must use feed additives that contain protein, sodium and fat, they should be sufficient in calories and not to be composed of iron and cholesterol are dangerous for this breed of fish. Tender white meat of tilapia is rich in protein and contains almost no fat. And it is omnivorous and unpretentious qualities made it ideal for artificial rearing. This kind of is really quite unpretentious neither to temperature nor to the quality of water resources, home. Almost all types of this fish great live and breed in freshwater, in salt and sea water. Despite the fact that the birthplace of tilapia in tropical, it can live in a temperature range of from ten to forty-five degrees. And even if the water is not too rich in oxygen, the fish will feel great. In addition, tilapia independently enrich the water with oxygen bubbles coming out of their gills, when the float from the bottom to the surface to breathe. At the moment tilapia bred almost everywhere from Africa to Russia. Despite the fact that this species lives mostly in tropical climates, grow it and in our country. It started to breed in the warm artificial water bodies in the days of the USSR. At the same time, the farmers have written a lot of literature on breeding and mark the bodies of water in which to breed. It was bred in geothermal springs and artificial reservoirs of the plant. Now it is grown in the mini-farm at home. But farming on an industrial scale in our country is not talking. In favor of breeding this fish says that it is very fast growing, undemanding to the quality of the water in which it lives, withstands diseases, omnivorous. It can grow in the pools using the technology of high density planting and cheap enough to organize a farm for its cultivation, as equipment needs to a minimum, and the feed mixture is quite simple, you can make them even yourself not purchasing for specific plants. Across the country quite a lot of farms engaged in cultivation of various species of fish. They all use technology patented by industrial fish as the most highly effective and positively affecting all aspects of fish farming, regardless of regional affiliation of the farm or fishery. As industrial fish farming is a rather young direction in the near future, farmers and industries we can expect innovations that will facilitate their work and will significantly increase the growth not only of young, but already ready for sale fish.